Class of 2020 is loaded nationally with athletic guards and wings. Anthony Edwards is one of them and he is among the elite pack that is sitting at the top of the rankings at this point (Edwards was ranked #25 in the latest NY2LA rankings). Edwards put together a great sophomore campaign putting up averages of 22 points, 8 rebounds, and 5 assists while leading his Holy Spirit Prep (Atlanta) team to an undefeated 8-0 region record and a 15-5 overall record. The size, strength, and athletic ability that Edwards has makes him a nightmare match up at the high school level on both ends of the floor. He plays an aggressive game and doesn’t backdown from any competition. Offensively, he is at his best when he is attacking the rim because he always seems to finish no matter how much traffic or contact there is. Easily one of the most exciting dunkers in the class you can always expect a couple of dunks that will have the crowd out of their seats wondering what they just witnessed in a high school game. He hasn’t been a consistent jump shooter yet, but he has shown flashes of being able to be a knock down shooter. With hard work and time there is no doubt in my mind that the athletic 6-4 wing will continue to improve his outside game. Edwards is one of the most highly recruited 2020 prospects in the country. Already holding offers from the likes of Florida State, Auburn, Clemson, Florida, Georgia State, Georgia Tech, Kansas, Memphis, Texas A&M, Virginia, and Virginia Tech. Schools like Georgetown, Michigan State, Depaul, and plenty more top programs are also expressing strong interest. Look for Edwards to recruitment to blow up even more during the next 12-18 months. 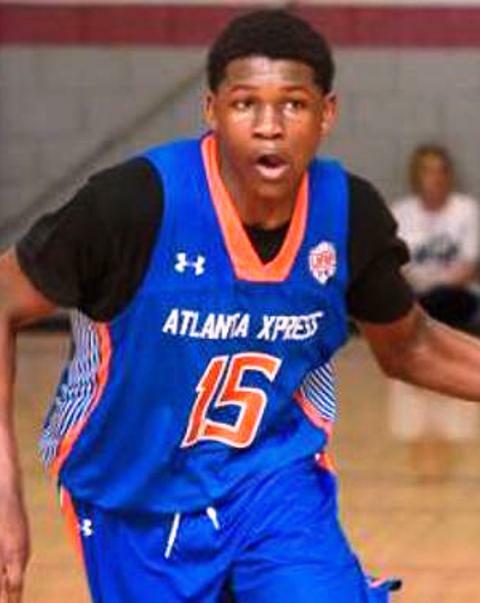 Edwards plays with Atlanta Xpress during the traveling grassroots season.